Sony has many imaging revolutions under its belt but the tech giant keeps pushing the envelope. It just introduced the industry’s first 3-layer stacked CMOS image sensor. 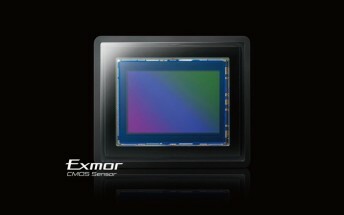 Plainly put, Sony added RAM to the image sensor to enable high-speed capture - like 1080p video at 1,000fps, for example. The camera actually captures two streams - one at 1,000fps and one at regular speed, both of which are stored in the on-chip RAM for later processing. This allows the camera to integrate slow-motion segments into regular speed videos seamlessly. Don’t worry if you don’t have lightning-fast reflexes - Sony’s sensor can detect sudden movement and trigger high frame rate recording automatically. 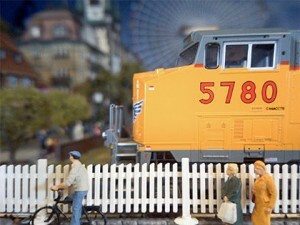 Here’s a 64x slow-mo demo - from 960fps to 15fps - captured with the new 3-layer image sensor. While 1080p @ 1,000fps video capture is the headlining feature, the on-chip RAM can also improve still photo quality. The trick is that a full-resolution photo - 19.3MP in this case - is stored in the RAM in just 1/120 of a second. The connection between the camera and the phone’s chipset is much slower, typically taking 1/30 of a second at that resolution. That connection hasn’t been made faster, but after the data is in RAM, the chipset can take its time reading it out (which also means that the image processing hardware doesn’t need to be faster or more expensive). Anyway, this new sensor has 5,520 x 3,840px resolution (21.2MP in total) and is 1/2.3” big (meaning 1.22µm pixels). It has 1 gigabit on RAM and supports 4K @ 60fps as well as 1080p @ 240fps (besides the short bursts of 1,000fps slow-mo).